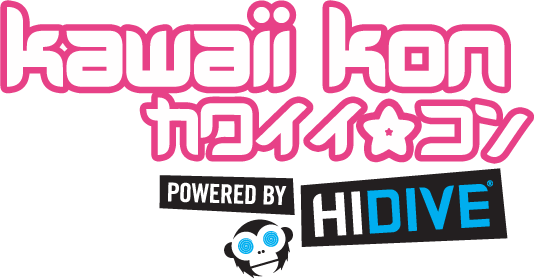 Kawaii Kon is operated by a core of directors from Hawaii in conjunction with a few mainland based directors. Kawaii Kon is a not-for-profit entity – that means no one makes a profit from the convention- Not the owners, organizers or staff. We do it for the love of anime and the local otaku community! Kawaii Kon is a 3-day convention that celebrates Japanese anime (cartoons), manga (comics), and all facets of Japanese culture. We offer a variety of events and activities throughout the weekend. From video games, table top games, costume contests, thousands of manga to read, a talent-filled Artist Alley, an expansive Dealer’s Room, formal ball, we have something for everyone! We love anime, we love making you smile, and we love sharing that love with the uninitiated! By organizing Kawaii Kon every year, we create a safe space for otaku to meet, socialize, and enjoy themselves. Anime has had an impact on our lives, and we want to be able to share that with others. Where is Kawaii Kon held? Kawaii Kon is held annually at the Hawaii Convention Center. This year, Kawaii Kon will be held March 2 -4, 2018. This will be the 14th Kawaii Kon. How much is a membership for Kawaii Kon? What kinds of events do you offer? All ages are welcome at the convention! Children under 5 years old get in free, and ages 5-12 can enjoy the con at a lower child-rate for their membership. We do require that children under the age of 13 be accompanied by a parent or guardian. We also offer a few adult only events, where entry will require a government issued ID to verify age. I want to help out! Do you have any volunteer spaces available? Yes! We’re always in need of more help! Check out our department descriptions here to see what sounds like fun, and then head on over to our application page to get yourself signed up!